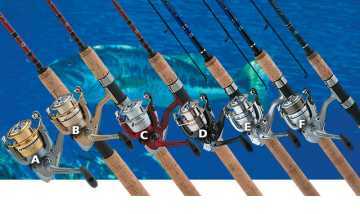 Key West Bait and Tackle offers Light Duty Spinning Rods and Reels for rent starting at $25.00 for the first day and $5 each additional day. Key West has several productive locations for fishing from the shore including Mallory Square, The White Street Fishing Pier, and Fort Zachary Taylor State Park. Fishing is permitted on the west side of the park along the Key West Shipping Channel. We have everything that you will need and we will get you out fishing quickly. We can supply you with all your needs from terminal tackle, bait, miscellaneous tools and knives, to refreshments and even sandwiches. Stop in or call 305-292-1961 between 7am and 7pm every day for more information.